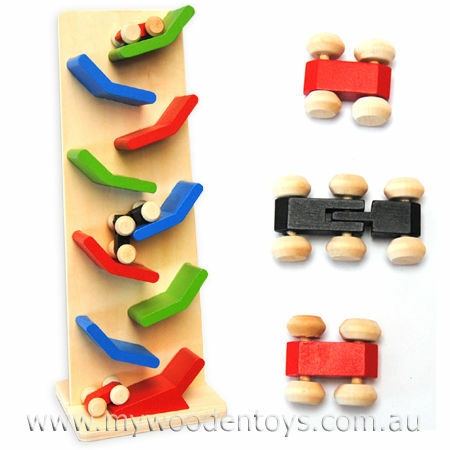 Wooden Toys Racing Car Run Start your engines... On your marks.... get set..... GO! Watch as your race car rattles down the track twisting and turning. A wonderfully addictive toy that never fails to fascinate children and adults and causes smiles as the car turns itself upside down every time it turns a corner on its way to the bottom. Simply made, this is an honest toy which entertains and amuses. Please Note: Track colours may vary. We like this because: "It is physical and teaches cause and effect...It's also just really fun!"